My medical training has taught me the exact skills that a good legislator needs. 1. How to listen, 2. How to evaluate evidence, 3. How to assess the underlying problem, and 4. How to formulate a plan to address that problem. I will apply these critical thinking skills every day in the legislature. The plan did not go far enough. Teacher pay was only one of the issues raised by educators. We need to dedicate funds to public schools to decrease class size, increase counselors and psychologists, and increase pay for other support staff. We should increase education funding to be in line with the national average. Shifting money around and accounting tricks aren't good enough, we need a true revenue source to make sure every child in Arizona has access to a quality education. Arizona needs to get back to supporting public schools and their students. Next year we should return to 2008 funding levels with plans to continue increasing to the national average. In order to fund this we need comprehensive Tax Reform. Currently the bottom 80% of earners pay far too much while the top 20% don't pay their fair share. The success or failure of the Invest in Ed initiative will determine exactly how that reform can be done, but it has to be comprehensive. Absolutely not. Of course there are a lot of great Charter Schools in Arizona, but there are also a lot of frauds. We have seen story after story of charter holders pocketing millions of tax dollars that should be going towards education. It's ridiculous that we allow these charter holders to sign contracts with themselves and make a huge profit with no accountability. Chasing out the bad actors would save Arizona hundreds of millions of dollars a year that can be put to better use. Yes. For me this is a matter of school safety. There are very simple ways that we can reduce gun violence. The first step has to be universal background checks. Without these checks there will also be an easy loophole for anyone with a red flag to walk straight through. Banning Bump stocks and other conversion devices is also a no brainer. We have a ban on automatic weapons for a reason, it makes no sense to look the other way on devices that are designed to get around these laws. Another important part of my plan is to institute a luxury tax on ammunition sales with the revenue going towards school counselors, psychologists, and teacher training to recognize warning signs. We can't afford to continue doing nothing. It's time to act and these are common sense changes we know will make a difference. Institute universal background checks, ban conversion devices, increase the purchasing age to 21, and institute a luxury tax on ammunition with the revenue going towards schools counselors, psychologists, and teacher training to recognize warning signs. We also need to make sure schools have all the funding they need for safety equipment and planning. I also support the use of School Resource Officers, but there must be a stringent selection and training process to make sure these officers are able to handle the challenges of working around teens. Right now, I cannot support another tax cut. Our budget is starved as it is. We need to fix the problems we have before we even consider reducing our revenue even further. Yes. I have counseled many patients looking to get a medical marijuana card. Even with medical marijuana laws in Arizona, there are still significant barriers for those who need it. We waste hundreds of millions of dollars every year enforcing and incarcerating people for low-level non-violent drug offenses. We can put that money to better use. Legalization would also help address the ongoing opioid crisis. There is anecdotal evidence in states that have already legalized showing these benefits and it fits exactly with my own experiences dealing with these issues as a doctor. I don't agree with these disingenuous measures. They are not making women safer or serving any other legitimate purpose. Like most politicians, those who support these measures can't just be honest and say their true motive is to restrict access to abortions as much as they can get away with. I would support measures that could clearly demonstrate they are addressing a real health and safety concern, but too often the science and medicine is distorted beyond recognition to try to justify more restrictions. We need to stop the inter-agency fights and sign on to the Drought Contingency Plan. This will limit the mandatory cuts Arizona will face once an emergency is declared. We also need to institute statewide voluntary cuts that will be better tolerated than the large mandatory cuts if we do not get this problem under control. Yes. I reject discrimination in all of it's forms. And we have a duty to protect every resident of Arizona from it. This is an issue that I do not feel I have a good answer for yet. I do not believe services should be denied to anyone based on their sexual orientation. But at the same time I do not like the idea of a government compelling someone to create a work of artistic expression against their will. So this really comes down to the details of any one individual case. Better Public Schools. Lower healthcare costs. Lower cost of living. We need to make Arizona a place where people want to be and want to raise their families. Once we do that, business and economic growth will follow. No. We already send over $200M a year to private schools with no accountability. Private schools are the least efficient of all schools, have bloated staff and administration, and do not produce better educational outcomes. All this expansion will accomplish is to put more tax dollars in the pockets of a few wealthy individuals and to further start public schools of much needed resources. I am a no vote on Prop 305. Border security is primarily a federal issue. We should be listening to our local law enforcement in border communities and counties so we can address what is needed rather than trying to score cheap political points. There have been improvements but they have not gone far enough. No member or staffer should have to work in a hostile environment and no member should be abusing their power to harass those working under them. Criminal Justice Reform. So many lives are ruined every year because of our flawed approach to criminal justice. Bail reform is necessary to emphasize public safety over a defendants ability to pay. The majority of individuals in jail currently have not been convicted but simply can't afford bail. We spend $600K a day housing inmates who's worst offense is drug related. We need to be smarter without our policies to focus on what is truly in the best interest of Arizona and our residents, not focus on just looking "tough" when it comes to crime. The greatest threat to Arizona's future is the water crisis. If the mandatory cuts go into effect, it will have very negative affects on our agriculture system and general way of life. There is a 50% chance that this occurs within the next two years, so this is a problem that needs an immediate solution. Born and raised in the state of Arizona. I own a small business so I understand what regulations and taxes can do to a small business. I currently serve on the Ways and Means Committee which is responsible for our tax policies in the state of Arizona so I understand our text system and do everything I can to keep taxes low for everyone. I also believe too much regulation will stifle a business and drive up cost. Small business is the key to growing jobs in our state so the last thing we want to do is over regulate and overtax them. Yes I do and I voted for it. Arizona has a teacher shortage and the best way to attract good teachers is to incentivize them with higher pay without raising taxes. The funding levels in 2008 were unsustainable as time has proven. With the 20% by 2020 and all the other increases in education funding we will be very close to those levels next year. Since all that money was put into the base it will be guaranteed for future years. Yes. Regulation laws passed this year to ensure that charter schools revenue is sustainable or the school can be closed. Public district and public charter schools should not be regulated the same. Keep in mind charter schools are built with private money and the only public money they receive is for the students. Yes, but it does not go far enough. Considering the final plan passed by the Legislature and signed by Gov. Ducey was not the initial amount the Republicans wanted to give our teachers, I think the GOP has shown Arizona voters what they think teachers deserve. I'm saying teachers deserve way more and I'll fight to ensure that comes into fruition. We need to ensure the very wealthy pay their fair share in taxes. 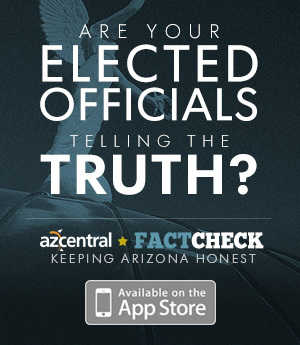 More importantly, nearly 75% of AZ corporations pay less than $50 in state corporate income taxes. That is fundamentally wrong. Large companies and businesses have a civic responsibility to ensure their workers are paid a living wage, and they pay their fair share in taxes like everyone else. We are in the education funding crisis right now because of austere government funding for critical public services such as education. Additionally, we must ensure there aren't hundreds of loopholes that basically override any future corporate income tax increases. No. There are numerous reports that details the abuse, discrimination, and inappropriate use of funds of too many charter schools. Racial discrimination via admission, using Arizona's children's education to make millions, and other types of mismanagement and abuse. Charter schools need thorough accountability with a Legislature and legislators who are willing to hold all parties accountable. Our students deserve a world-class education and too many charter schools have owners and operators who do not have the educational qualifications to manage a place of academic learning. I support common sense gun safety laws such as banning bump stocks and requiring universal background checks. We need to talk about both gun safety laws and our mental illness epidemic. Specifically around young men who are the majority of people who commit these school shootings. We can have stricter gun laws, yes, but we need to have fully funded schools with counselors, social workers, and nurses who are qualified to intervene when there are behavioral issues with students. It's not one issue, but the solution comprises stricter gun laws, access to adequate healthcare, and fully funded schools. We need to ensure a progressive income tax for all people so that the working class is not paying more of a percentage of their income than people with personal incomes over $200,000. Yes. In states where marijuana is legalized, DUI offenses and opiate abuse is on the decline. Additionally, marijuana use is virtually the same across ethnic backgrounds, but people of color are unfairly incarcerated and arrested at higher rates than their white counterparts. Legalizing recreational marijuana is in the best interest of Arizona's public safety and public health. No. The Republican-led legislature increasingly challenges the landmark Roe v. Wade decision by the Supreme Court. This is a debate that was long ago settled and Arizonans want our Legislature to focus on issues that matter -- not continually push restrictions the majority of Arizonans do not favor. Growing the economy for the sake of just growing the economy is not good economics. When the gains go to the people at the top, the majority of Arizonans will never feel that growth. I'm not interested in appeasing people of every income level -- I think the very rich have had a good run of it already. We need fully funded public schools and it's time for the rich and corporations to pay their fair share. I support voting "No" on Prop 305. I think the expulsion of Rep. Shooter was a clear success of the #MeToo movement that even Republicans are no longer staying silent on the abuse and harassment by too many people. All people must be held accountable for their behavior and we are on the right track. We need to focus on not just adding jobs to the economy, but good paying jobs that are meaningful. The majority of jobs added to the economy post-Recession are overwhelmingly retail and service industry jobs. Many of these jobs will be, and are currently being automated. We need to explore and research solutions such as a basic income to curb the inevitable forced unemployment that will result due to technological automation. Also, we need stronger statewide workforce readiness programs to bring Arizonans the skills they need to compete for 21st century jobs. Too many employers have available, good-paying jobs not enough workers are qualified for. The greatest existential threat to Arizona's future is, and will remain for some time, climate change. We need to begin to phase-in 100% renewable energy for the entire state. Arizona needs to do its part to be a global leader in combating climate change.